With the kiddos back at school packing for snack time and lunch time can sometimes call for creativity. We have to keep in mind the kids with allergies, even if yours don’t have any. I know at a certain age they get used to having allergies and know what they can and cannot have. But, we can do our part to help them not have to worry so much. With that being said, through an awesome website group called MomsMeet (www.greenmomsmeet.com) I was chosen to have a sample party. 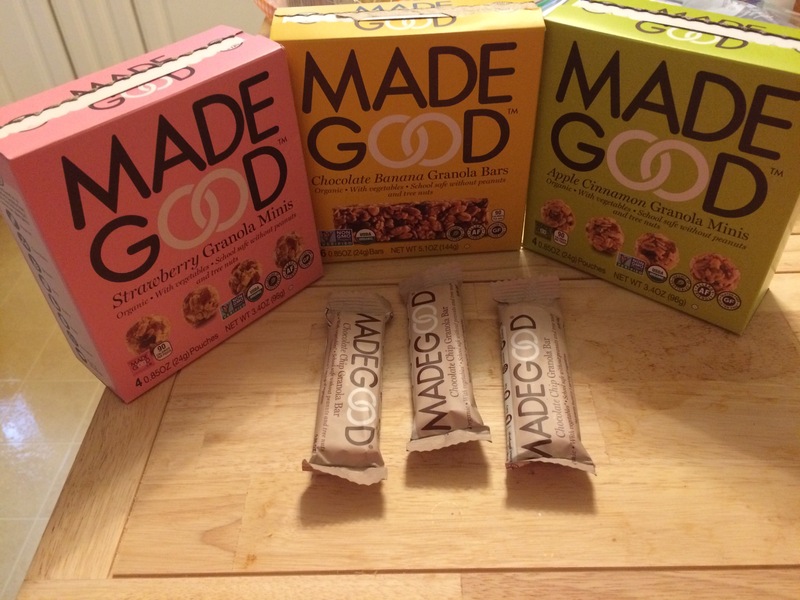 The product I was chosen for is MadeGood Granola. 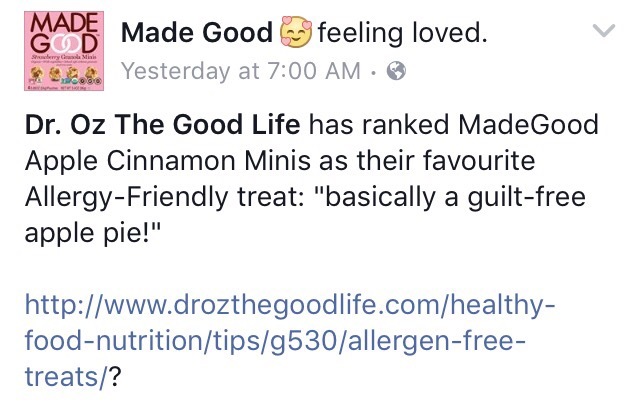 You HAVE to try them (www.madegoodfoods.com)!!! Their granola bars and minis are allergy free- they don not contain peanuts or tree nuts. Bonus!! The taste is great! They remind me of no-bake oatmeal bars.